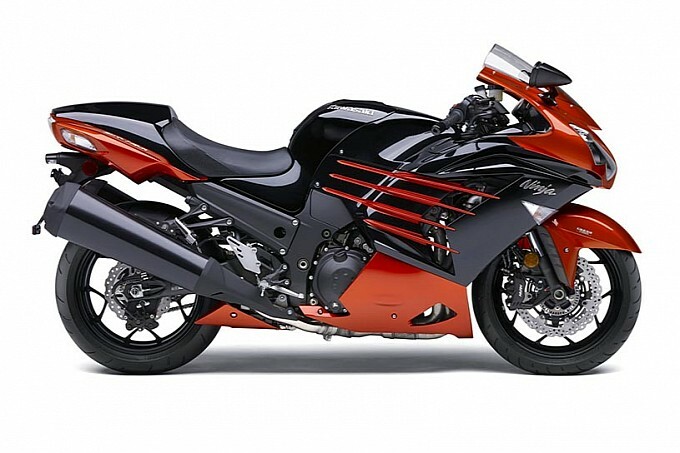 Featuring a 1,441cc four cylinder powerhouse producing around 200hp, the ZX-14R is the fastest production motorcycle you can buy. The ZX-14R is designed for one thing and that is speed. If you’re a top end kind of guy then here is your motorcycle. The 2014 ZX-14R comes with 3 traction control settings, a slipper clutch and optional ABS. Personally I would keep traction control on at all times, I’m sure the ZX-14R will have no problems spinning up the rear if the road surface is slightly less than 100% perfect. The base model is priced at $15, 299 and with ABS you will be set back $15, 699. Colors include flat ebony, golden blazed green, metallic spark black, or candy burnt orange, please refer to picks to decipher what I am on about.